"Achieving favorable conclusions, clarifying problem areas . . ."
Mr. Ross's impressive mediation skills and likeable personality have made him one of Southern California's most respected and sought-after mediators. Mr. Ross has successfully mediated over 2600 private and court ordered disputes since 1993 with an over 96% track record of resolution and thousands of highly satisfied parties and participants. 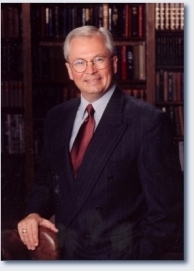 Mr. Ross is a Distinguished Fellow with the International Academy of Mediators, an honored Member, California Academy of Distinguished Neutrals, Member, Association of Attorney-Mediators, Member, Association for Conflict Resolution, Member, Dispute Resolution Section of the American Bar Association, and a member of numerous mediation and arbitration panels. The California State Bar recently named Mr. Ross as one of its 2013 Nominees for the California State Bar Real Property Person of the Year Award for his many notable contributions to the field. Based in Los Angeles, Mr. Ross's 40-plus years experience in business, real estate, banking and finance, estate planning and probate litigation and legal practice, including state and federal trial advocacy and administrative proceedings, has made him a leader in the ADR field. Mr. Ross has participated in advanced mediation training from the prestigious Pepperdine Law School's Straus Institute for Alternative Dispute Resolution and is a court appointed mediator and arbitrator. He earned his J.D. from Southwestern University School of Law, and his MBA in Accounting and Management from the University of Southern California Marshall School of Business. Mr. Ross has served as Judge Pro Tem of the California Superior Court, where he is a regularly appointed mediator and settlement referee in civil cases. Mr. Ross has been a business owner and a licensed Real Estate Broker for over 40 years. He is a nationally-published author, a sought-after lecturer and trainer on legal topics including alternative dispute resolution and he is an adjunct professor at several local colleges and universities. Mr. Ross' expertise has been called upon at every stage of a dispute from inception through trial and includes mediating routine disputes and complex litigated cases. His friendly, but effective personal style, his outstanding reputation of fairness and his keen ability to help his clients quickly isolate key areas of conflict and accompanying paths to resolution, have placed him at the top of the mediation field. His long list of satisfied mediation clients include major law firms, banks and lending institutions, government entities, real estate brokerages, real estate principals, community businesses, personal injury, probate and elder law parties, HOAs, associations, and insurance companies as well as the courts. Mr. Ross lives in the Los Angeles area with his wife Candy, a local real estate professional and educator.